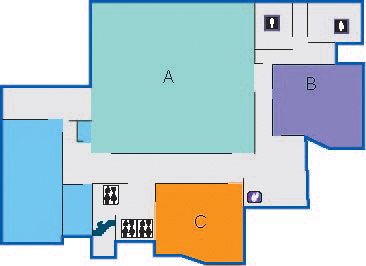 The International Conference Hall located on the Tenth Floor has 170 seats in an U-shaped seating arrangement. All seats are equipped with microphones, allowing real-time interaction among participants during conferences, seminars, speeches or other large group meetings. The Meeting Room has 25 seats, and is designed for small group meetings.